Hindusthan Engineering & Industries Limited is one of the premier arms of the Hindusthan Group. leading manufacturer of overhead conductors and electro porcelain high tension insulators. Hindusthan Chemicals Company (Erstwhile known as Cyanides & Chemicals Company). The Indian Jute Industry plays a crucial role in Indian economy. THG Wind Power Generation contributes towards a greener world. Leading producers of Epoxy Resins, Reactive Diluents, Curing agents, & specialised Epoxy systems in India. Located at Laxmangarh in the state of Rajasthan, Mody University. 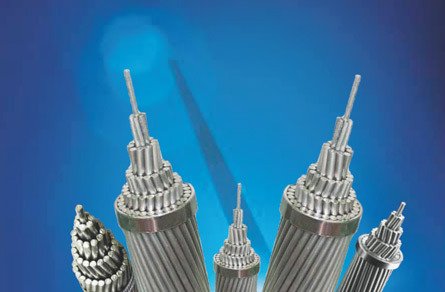 Established in the year 1959, Hindusthan Urban Infrastructure Limited is a leading manufacturer of overhead conductors and electro porcelain high tension insulators. Equipped with sophisticated European, American and Indian manufacturing and testing machinery, the company is well-recognized and reputed for its impeccable on-time Quality Product Delivery and performance conforming to National & International standards. Equipped with world-class infrastructure, the company holds ISO 9001:2008, ISO:14001:2004 & OHSAS 18000 certificates from BVQI, U.K, the International Accrediting Agency. Apart from this, the company holds the BIS Certification for Over Head Conductors such as AAC, ACSR, AAAC & AACSR up to 800 KV Lines. The company is also a Member of the Standing Committee for overhead Conductors up to 800 KV of Bureau of Indian Standards, Government of India for the last two decades. The company manufactures Bare Conductors for transmission lines and HT Insulators such as Solid Core Insulator, Hollow (Bushing Insulator), etc. Principal units of the company are located at Gwalior (M.P. ), Guwahati (Assam) and Khurda (Odisha) having manufacturing facility for bare conductors. Our manufacturing facility for insulators is located at Mandideep (M.P.). 56 glorious years within the industry. Successful execution of orders worth rupees 700+ Cr. in the last financial year. Exports to more than 33 countries around the world, first conductor exported in 1961. First company in India to manufacture 500KV conductor. Currently supplying conductors for 800 KV Lines. Successful type testing of the conductors in reputed laboratories around the world including CPRI, ERDA, CESI Italy, EDF France, Hydro Qubic- Canada and APRI-China. All types of new generation conductors like STACIR, ACSS, TACSR, Composite Carbon core developed and Type Tested. State-of-the-Art export oriented Plant at Khurda in full operation, having fully automatic 54-B rigid and aluminum continuous casting machine for EC & Alloy Rods. Capability to produce more than 91 wires of conductors on Denmark made bagger machine. In-house capability of manufacturing all kinds of aluminium/alloy wire rods of series 1000, 5000, 6000 and 8000. Copyright © 2015 The Hindusthan Group. All right reserved.